Budding electricians will have no doubt completed a relevant course or apprenticeship in the field, learning techniques on how to install and repair stationary machinery, complete wiring jobs, repair circuit boards and other such electrical tasks. However, becoming an electrician requires more than the relevant knowledge. Specific equipment is needed to fulfil certain tasks required, as well as general tools used by all manual workers such as hammers and screwdrivers. Below is a run through of the types of jobs carried out by electricians and also details of which tools can be acquired to make these jobs easier. What Does an Electricians Job Involve? Employers and potential customers look for electricians who can install, operate, repair and maintain a wide range of electrical systems. More advanced techniques are sometimes required for more complex jobs, alongside the more simple tasks of wiring and checking circuit boards. - Install, check and repair electrical equipment of different kinds. Understanding and maintaining wires, fuses, electrical appliances and fixtures is needed along with knowing how to safely operate electric hand tools. - Diagnose current systems using such tools as circuit, voltage and continuity testers. Problems in an electrical system, such as malfunctioning wires or broken transformers, need to be located and repaired in a safe, efficient manner so they become acceptable for civilian use. - Comply with standard safety codes, inspecting any work thoroughly. Electrical items in the home can be dangerous and possibly life threatening; defects and potential hazards and need to be located efficiently. - Plan layouts of circuit systems in a safe and concise manner, increasing electricity output and performance. Installing electrical wiring, fixtures and equipment needs to be completed in relation to the exact job specification. - This is often done with the help of blueprints and sketches of a certain electrical plan. They need to be followed to ensure wiring is in the correct place and joins up with the relevant circuits. On some occasions, electricians will be required to form their own sketches and building plans. - Work on scaffolding; this is a common feature of an electrician’s job, especially on new housing or office developments. Being comfortable on roofs, up ladders and in lofts to install and repair electrical equipment is also a frequent necessity. - Be able to cope with physically demanding work, such as lifting heavy objects and digging to get to underground wires. Being fit, strong and healthy is a bonus as some jobs require strenuous work all day. Understanding safety regulations is important also for heavy-duty tasks. - Understand specific jobs; for example, how to install ground leads and connect motor power cables. Inserting tubing behind walls is also needed on some occasions. Operating generators and floodlights can also come in handy, on outdoor football pitches for example. -Being first-aid trained in order to deal with any potential emergency. - Understanding the business side of the job, i.e. preparing reports and invoices, maintaining records, completing tax returns and investing in equipment supplies for particular jobs. 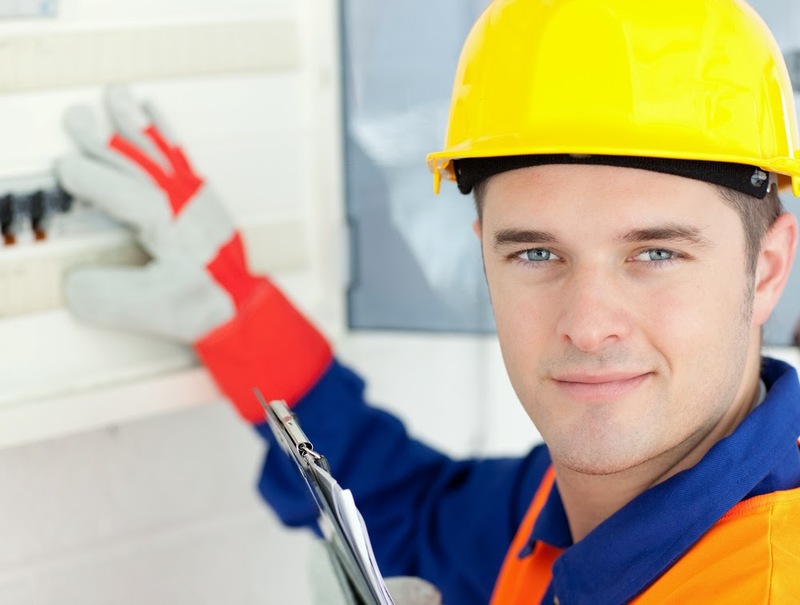 - Working with others – be it other electricians, carpenters or plumbers – to complete a particular job. - Training or instructing new workers or employees to adhere to the standards you have set yourself for installing, repairing and maintaining electrical equipment. - Buying and continually investing in new tools to keep up to date with the expanding nature of the business. Obtaining tools to deal with a range of jobs will make your life easier and make you more appealing to prospective clients. Some of the tools required for electricians are listed in the section below. What Tools do Electricians Need? An electrician will be expected to be comfortable using a variety of tools in their kit. From general handyman tools such as hammers, nails, measuring tapes, screwdrivers and pliers, a more advanced knowledge of power hand tools and testing equipment is also required. Investing in the right tools initially can guarantee a sense of quality for your work and also save you from replacing inadequate products in the future. However, a fortune needn’t be spent on some tools as long as long as they are up to an acceptable level. A tool belt is a perfect starting place to begin a collection of the necessary equipment; tools can be stored in a handy and safe place, allowing ease of access for equipment when up ladders and relocating from place to place. They can also ensure that tools aren’t left behind after completing a job. Multi-meter – A device that reads a range of electrical units, all kinds of testing equipment can be bought or hired from companies such as MCS Test Equipment. Basic versions inform of voltage, amps and resistance in an electrical circuit. Pliers – For, bending, cutting and pulling wires, a range of pliers can be used for different uses. Crimp pliers are designed to achieve solderless, crimp connections. Cable cutters – These are a more powerful type of pliers, used for larger cables and wires. Wire strippers – Used to cut through the outer plastic insulator and not the wires inside. Soldering iron – Soldering irons are used in order to link wires with solder on a circuit board.